The Coastal Skipper course is aimed at those who want to explore a bit further afield. That is why we always visit a distant port or cross the Channel (weather permitting). 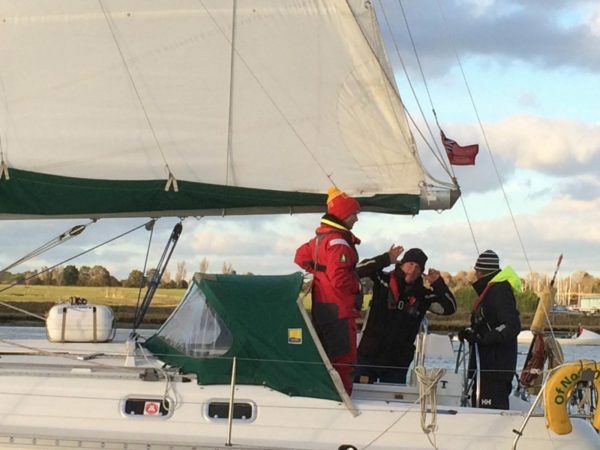 The course has to be a five day trip, living on board and sailing both day and night. This course assumes you have successfully completed the Day Skipper theory course and have some experience of sailing as skipper. After the course you should be competent at sailing longer passages, including at night. 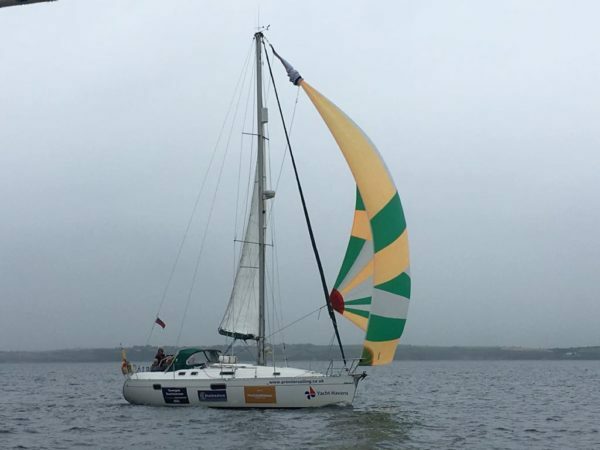 Because we will be sailing longer distances, and at night, we provide good quality (Musto or Helly Hansen) wet weather gear, automatic lifejackets and the latest safety equipment. .
With a maximum of 4 students plus instructor on an 8-berth boat you will have a great time. All food is provided on board and is “superb” with fresh ingredients etc. You will get the opportunity to plan and execute a passage. It is unusual for us to have to cancel a course due to bad weather but, should this happen, a full refund or rescheduling will be arranged. We will do our best to ensure you have a great sailing and learning experience. This course consists of skippered passages in a variety of situations. Each trainee will skipper more challenging passages and learn more about passage planning, pilotage by day and night, boat handling, safety and emergency situations. It is a satisfying but intensive week, with candidates often working towards a Certificate of Competence. We endeavour to supply as much of what you need as possible. We supply pillows – but not pillow cases. We supply wet weather gear – but not footwear.